We had a decent day of scratching today, it was never wide open but, the quality was very nice. We had better than one around on the Yellowtail which averaged right at 30#, with the best at 39.8. We also saw a little sign of better tuna that were reluctant to bite. 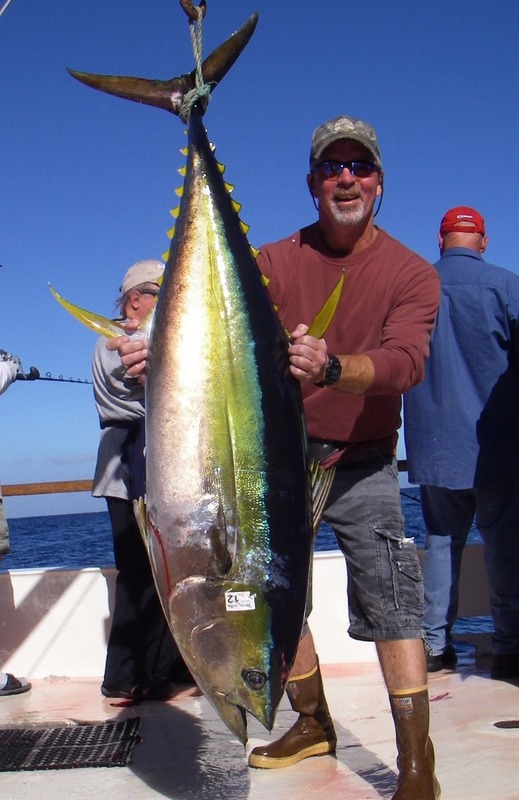 Today’s photo is of Steve Bernd and his 109# yellowfin tuna which he bested on 40# gear.